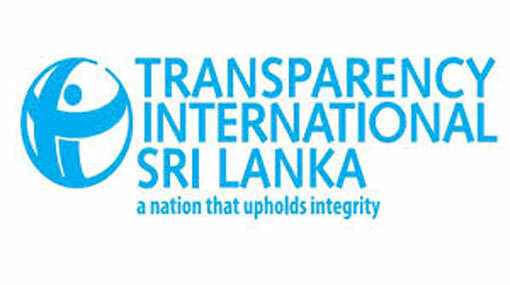 Transparency International Sri Lanka (TISL) has raised concerns pertaining to the costs incurred for the celebrations organized for Prime Minister Ranil Wickremesinghe, in honour of him completing 40 years of public service. With reference to a letter dated July 27 from the Ministry of Home Affairs, the TISL has reported that the ensuing celebrations would include 1300 bodhi pooja ceremonies, alms for a 1000 monks and several religious observances at kovils, churches and mosques all throught the country. The TISL has made a strong recommendation to the Prime Minister, to cancel such celebratory activities, and alternatively organize a commemoration without the utilization of public resources. The press release by the TISL with regards to the above is mentioned below. Transparency International Sri Lanka (TISL) is extremely concerned by reports quoting a letter from the Secretary to the Ministry of Home Affairs, dated 27 July, which instructs all District Secretaries to host a series of events from 3 August, to celebrate Prime Minister Ranil Wickremesinghe’s 40 years in public service. If the instructions contained in the letter are to be followed, it will require considerable resources to be redirected for the purpose of organising the events. This would include over 1300 Bodhi Pujaceremonies, alms for 1000 monks and religious observances at kovils, churches and mosques across the island amongst other things. This would place a severe resource burden on Divisional and District Secretariats, whose primary function is to ensure public service delivery. Whilst celebrating public service is not to be ignored, given the scale of what has been planned, TISL respectfully requests the Honourable Prime Minister to instruct the cancellation of these celebrations or alternatively, organise such celebrations without public resources, human or monetary. TISL wishes to remind the authorities concerned that using public resources for personal gain amounts to corruption and that it runs counter to the spirit of good governance.